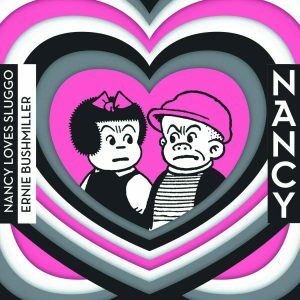 Nancy stands apart from every other classic American newspaper strip in one significant detail: there is no sentimentality in Ernie Bushmiller’s world. Elsewhere, no matter how wacky or abrasive daily newspaper characters are, you can guarantee they will at some point–especially on Easter, the 4th of July, Thanksgiving and Christmas–tell their friends how very much they love them, salute the flag, and shed tears or prayers while musing on what makes America great and how fortunate its citizens are. Of course this is partly because maintaining a daily strip takes immense amounts of material, and public holidays and religious celebrations are a free source of subject matter. But mainly it’s about ingratiating characters with readers, which means proving they feel the same way we do. 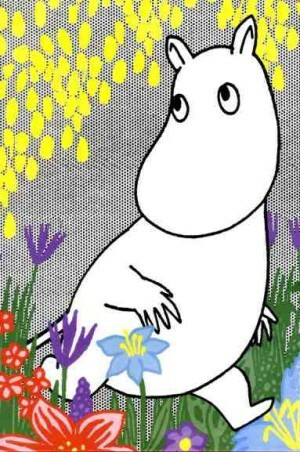 Cartoon characters emoting about the things we care about too, at regular intervals, is supposed to humanise them and make us identify with them, and a little speechifying or some philosophical debate about spiritual matters is part of the routine. There is a very different aesthetic at work in Nancy. 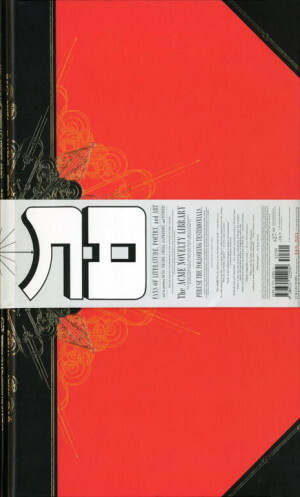 There are absolutely no appeals to readers’ finer feelings, no tweaking of heartstrings, no soft-soaping. 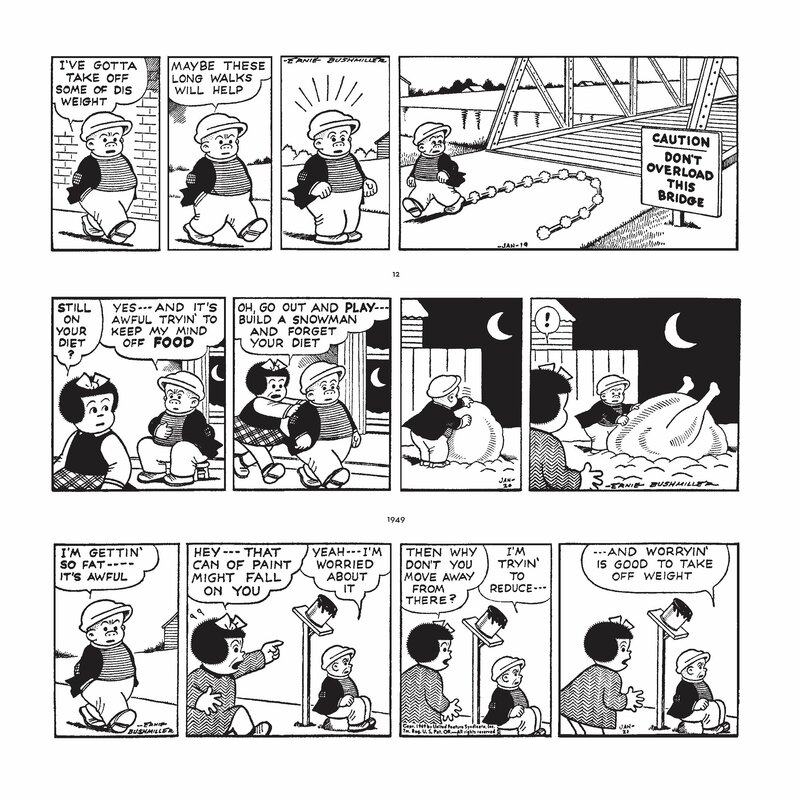 Nancy and Sluggo are typically hyper-expressive cartoon children who act on their impulses and emotions freely, but only in relation to the task at hand, which is usually about solving a problem in an ingenious way that will also be funny for us to observe. And that’s it. Life, school, family, romance, money, health, art, food, crime; whatever the subject of a strip might initially appear to be, the only thing that actually counts are the jokes they can generate. Nothing has any intrinsic meaning beyond the punchline. It’s this relentless focus on flipping anything and everything into gags that makes Nancy seem like the silliest, most meaningless foofery to some people while totally endearing the strip to legions of readers. That intensity of execution took a while to arrive at, however, and in the first two volumes of reprinted daily strips Nancy is Happy and Nancy Likes Christmas the formula isn’t perfectly refined yet. 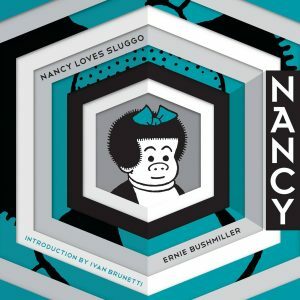 Nancy Loves Sluggo is the third volume, but the first one to give us a sense of what that 100% proof Bushmiller juice tastes like. It’s quite a heady brew. One very satisfying aspect of seeing these dailies collected is being able to appreciate how Bushmiller takes an idea or prop and then runs through a week of variations until he’s extracted all the humor he can. 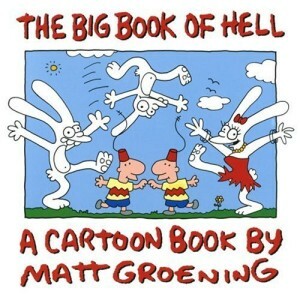 These pages are chock-full of sequences of inspired riffing with the most unlikely subjects. Nothing is too big, too small or too corny for Nancy to get a laugh from. Later years get even more minimal and surreal as the quest for the perfect gag intensifies, but this is prime Nancy right here. 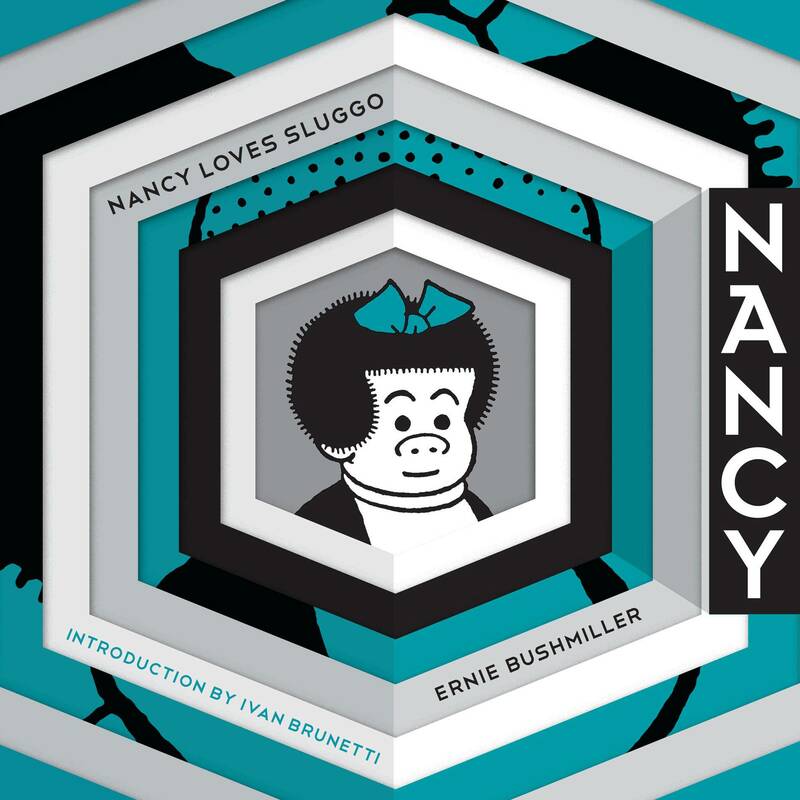 This reprint series was billed as ongoing, but Nancy Loves Sluggo is the last volume to be published since 2014. Perhaps with the new and rising interest in this strip being generated by the brilliant work of creator Olivia Jaimes, the first person to really get the mood of Original Bushmiller into her very contemporary updating, more volumes might begin appearing soon. 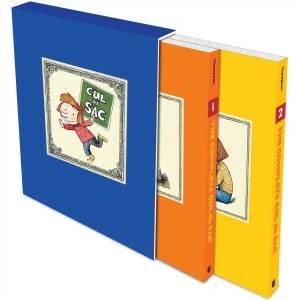 Meanwhile, this book is relatively easy to find online and Jaimes’ new Nancy strips appear daily at this website and other places.